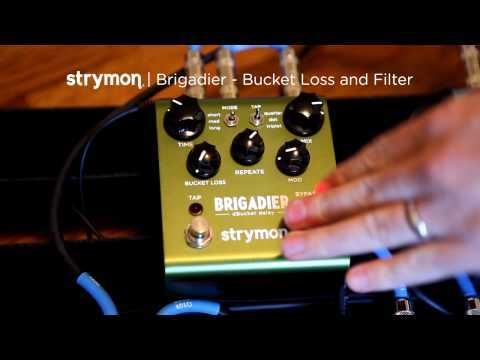 For the Brigadier, Strymon set out on a quest, to perfectly replicate the sound of vintage Bucket Brigade Delay analogue effects. Their team..
For the Brigadier, Strymon set out on a quest, to perfectly replicate the sound of vintage Bucket Brigade Delay analogue effects. Their team of tone fanatics, DSP wizards, analogue electronics specialists achieved this and decided to go even further. Every analogue component is captured perfectly with all that lovely warmth and distortion, with complete control over how much noise you want, tap tempo and filter settings. This allows you to emulate any BBD under the sun, from grungey dub to clean and pristine prog. 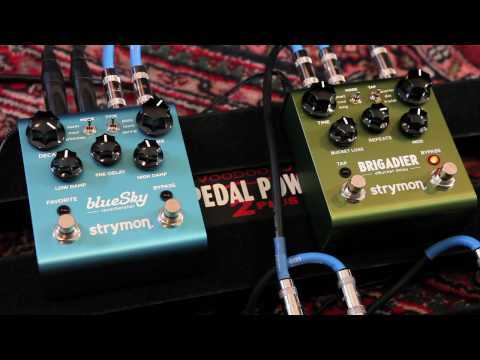 Techy stuff like the SHARC processor and 24/96K ADDA conversion is what gives Strymon the freedom to create some of the finest pedals we've seen. However it's the artistry, musicality and attention to detail in their individually programmed algorithms that really sets them apart. The Brigadier is just as suitable for studio use as it is for guitarist's pedal boards. Hand crafted dBucket algorithm for highly accurate reproduction of every stage of an analog bucket brigade chip and the associated clock driver circuitry.